In what the main expert called “the largest volunteer historic preservation event in the history of America,” 70 or more volunteers from several states are restoring a historic home in Pikeville, Ky., in the heart of the Central Appalachian coalfield. “Pikeville is one of the most amazing towns I have worked in anywhere across the country,” preservation expert Bob Yapp told the Appalachian News-Express, the town’s thrice-weekly newspaper. 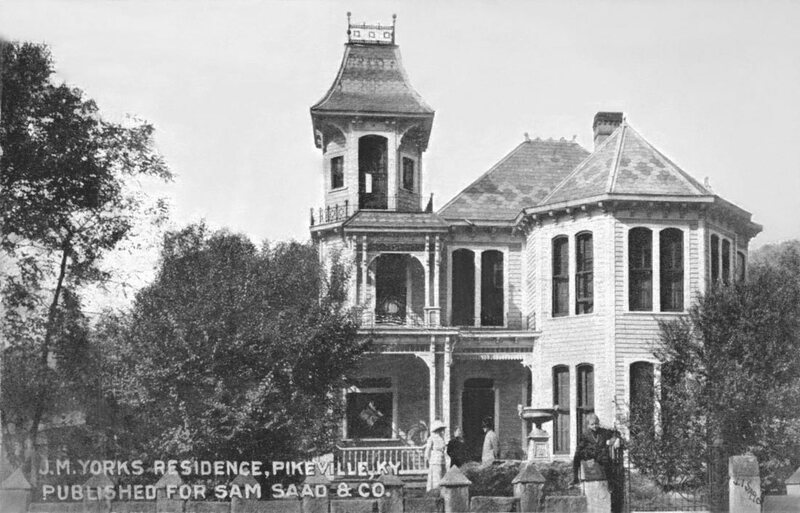 The York House was built in 1874, when Pike County was still a land of timbering and subsistence farming and the notorious Hatfield-McCoy feud was still only brewing. John Dils gave the property to his daughter, Augusta, and her husband James York, a lawyer who at one time or another represented both leaders of the feud that erupted in 1878: his neighbor, Randolph McCoy, during the latter phase, and earlier Anderson “Devil Anse” Hatfield. The end of the feud was negotiated in the parlor of the home, which sits next to the home of feud figure Perry Cline, which is next to the McCoy home, says the project website. “Once complete, the building will house the Dils-York Cultural Heritage Center,” Alix Casper-Peak reports for WYMT-TV in Hazard.